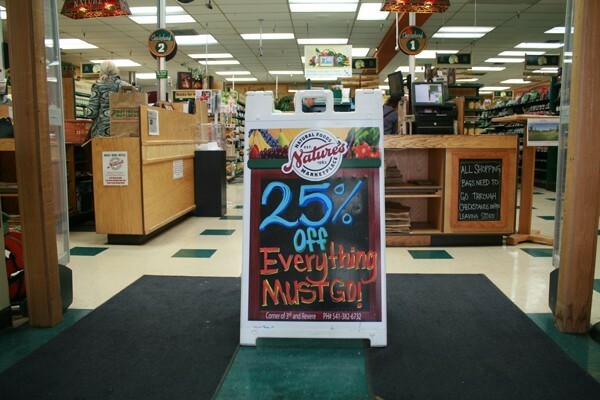 All items are 25 percent off until Nature's closes its doors. Debbie Sloan takes the duster out of her back pocket before taking a seat at the counter in the front of her store, Nature's. 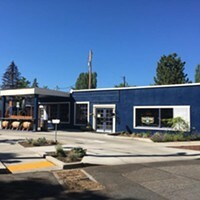 She's been providing organic groceries and natural products to the Bend community since 1983, expanding three times, and greeting her customers by name as they arrive and leave. "Bye, Katie, I'll talk to you soon," she says. Customers coming and going glance down at the "25 percent off all items" sign standing in the middle of the entrance. And for the first time in three decades, she's not sure what's next. 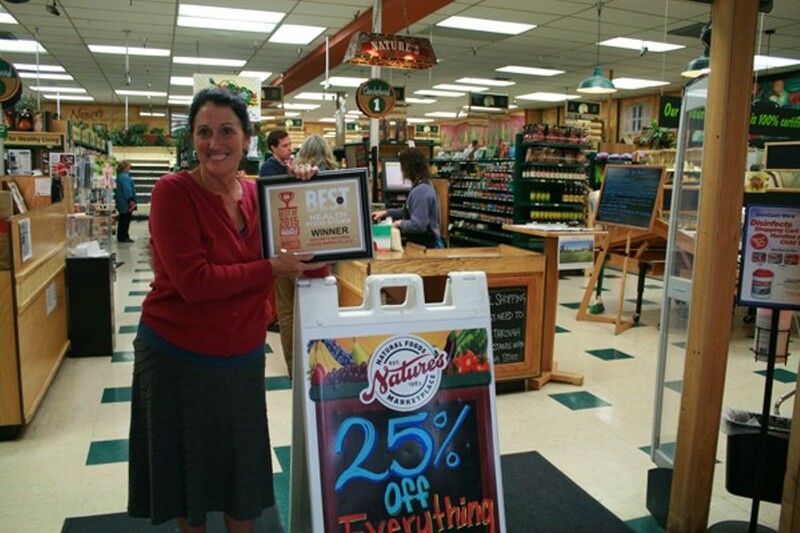 Sloan has operated Nature's for the last 32 years, a small natural foods market that has been voted Best Health Food Store by Source readers since the paper started. On September 24, she made the decision to close her store after seeing a decline in customers and sales over the last two years. She says she's been going through the grieving process since making her decision. "I'm hopping through those stages," she explains, "the grief, the sadness, the anger, and then just the numb[ness]—because it is [and] it's been my total life." Sloan opened the store after taking a deeper look and learning about nutrition. Her daughter was diagnosed with leukemia in the mid '70s and doctors only gave her a few months to live. Her daughter was eventually given a clean bill of health. "And so that's mainly why we built the store on the principle of we've got to tell the world," she says. Sloan believes competition from larger chain grocery stores getting into the organic food business, the cost of living, and the housing market are all factors contributing to Nature's decline in sales. "My customers are telling me that they've been on a budget," she says. "They've had to make compromises, they've had to get roommates, they've had to eat non-organic." Sloan understands that her customers have to shop where prices are cheaper. The customers that have been able to stick through until the end are telling Sloan they don't know where they'll shop. "I've had so many people in here that have cried," she says. "A grown man today looked at me and cried—he couldn't bear it. There have been a lot of tears shed in this building, a lot of tears." Sloan says larger organic food competitors are able to offer products for about 20 percent less—which is much cheaper than an independent organic market can offer. As customers steadily stream through lines, Nature's employees chat with them as they scan their items. 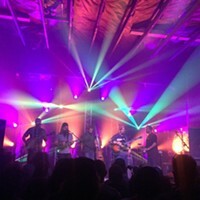 Some people have worked with Sloan for 20 years. "My employees should be scared to death and running and getting other jobs, [but] every single one of them is staying with me and seeing me through this," she says. "I don't think it'll be hard for them to get a job because they are going to get the absolute best letter recommendation anybody could ever get. The store wouldn't be what it was without them." Jeanne, an employee, has known Sloan since 1977 when the two worked for the New Congress co-op market in Bend. "I've got roots in this industry," she says. "I saw this [industry go] from the granola hippie all the way through to the corporate take-over." Sloan says she's known she would probably have to close since spring and was hoping business would turn around, but as her accountants ran the numbers, she knew what had to be done. The closing date is uncertain, but she knows it will happen soon. "Look at the shelves," she says. "When the shelves are down low enough, then I'm going to close because then I've got to start selling the equipment and getting ready to get out of here because I don't want to pay rent if I'm not in business." Although she's encircled by a mass of uncertainty, Sloan is toying with the idea of running a second hand store to sell the art, baskets, and remnants of items hung on the walls. She's also considering taking some time off, but can't take the idea of not being involved in the community. "I'm a very strong woman," she says. "I may also be a business consultant or a consultant for liquidation because this has been so incredibly hard. I've got a lot of balls, and I know there are other people in this town that are going to go down just because of the way it's growing." Until the end, Sloan is relying heavily on her faith while she continues to manage her employees, and is busy meeting customers who are making offers on equipment like shelves and produce stands. "It's going to be weird the morning I wake up and it's done," she says. "I will at least know that I've helped bring the world to a higher level of understanding of nutrition and I'll always be happy for that."